Your new Volvo comes with a four year ON CALL roadside assistance. Additional information, features, and benefits are described in a separate information package in your glove compartment. In addition to Volvo factory training, Volvo supports certification by the National Institute for Automotive Service Excellence (A.S.E.). Certified technicians have demonstrated a high degree of competence in specific areas. Besides passing exams, each technician must also have worked in the field for two or more years before a certificate is issued. 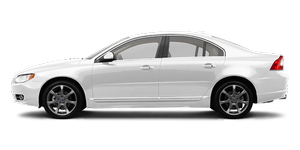 These professional technicians are best able to analyze vehicle problems and perform the necessary maintenance procedures to keep your Volvo at peak operating condition.